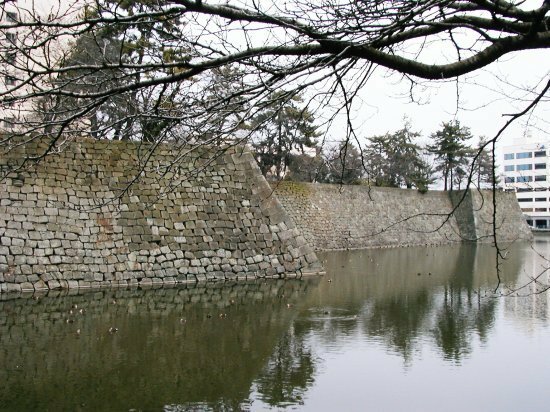 Fukui Castle is classified as a flatland castle (its layout: Rinkakushiki), and is located in Fukui Prefecture. 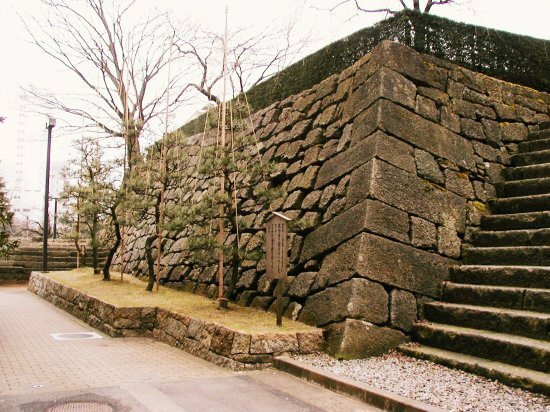 During the pre-modern age, it found itself within the borders of Echizen Province. 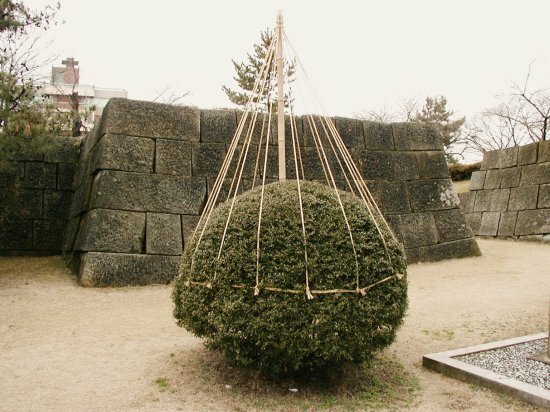 It is associated with the Matsudaira (Echizen) clan. 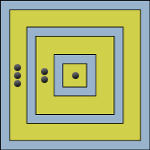 Dates in use: 1601 - 1871. Tokugawa Ieyasu's second son, Yuki Hideyasu, was established as lord of the region in 1601. 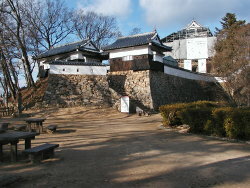 Fukui castle was built, replacing the older fortifications of Kitanosho Castle of the Shibata clan. Hideyasu's would continue to rule over the Echizen domain for the entire Edo period. 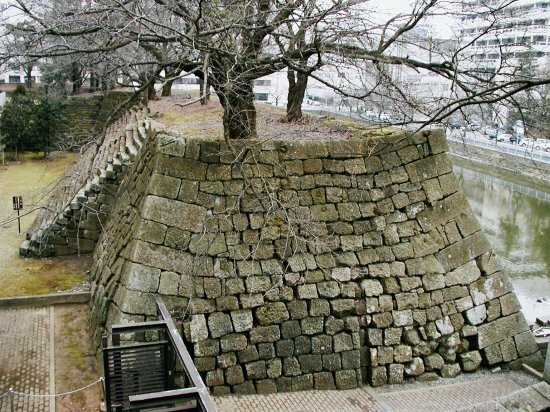 To be honest, not a great deal remains of Fukui Castle. Having said that, the main enclosure's wide moat & stone walls are still impressive. Recent years has seen the rebuilding of a covered bridge over the remaining water-filled moat. 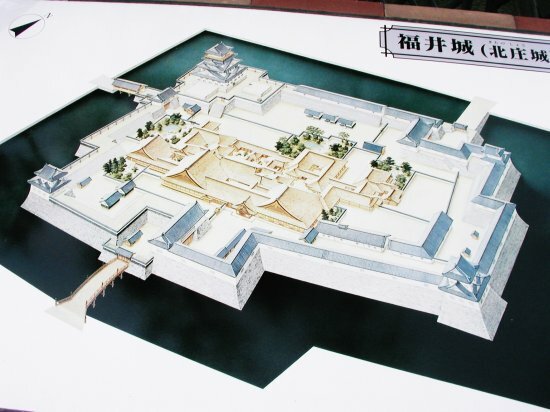 1601 Construction of the castle started. 1669 The main tower burnt down. 1983 Restoration was undertaken of the stonework. 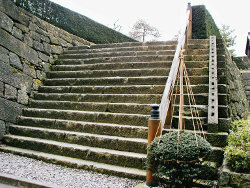 2008 The Rouka bashi(covered walkway) was built.